Prof. Jörg Piper - http://www.joerg-piper.com -, one of the most active researchers in the field of the usage of illumination techniques in light microscopy sent us one of his last image series. It consists of a number of photographs taken with a miscroscope and shows a segment of a butterfly wing under different lighting conditions. Please find below the results of a joined effort to enhance the contrast of the original images. The image sequences have been processed with FDRTools Advanced for generating a HDR image. The final tonemapping and post processing has been performed with the last version 3.0 of the FDRCompressor Plug-In. Prof. Piper told us that he has examined a larger number of different HDR programs and stated that this result currently is the best one of all programs he examined. Fig. 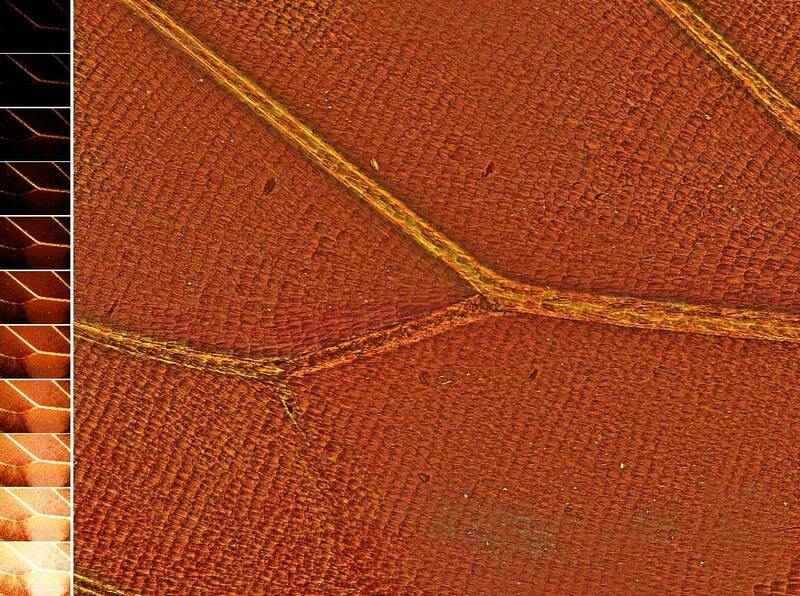 1: Microscopic photographs of a butterfly wing and the final result after HDR conversion with FDRTools and contrast enhancement with FDRCompressor Plug-In (Original images courtesy of Prof. Dr. Jörg Piper). Fig. 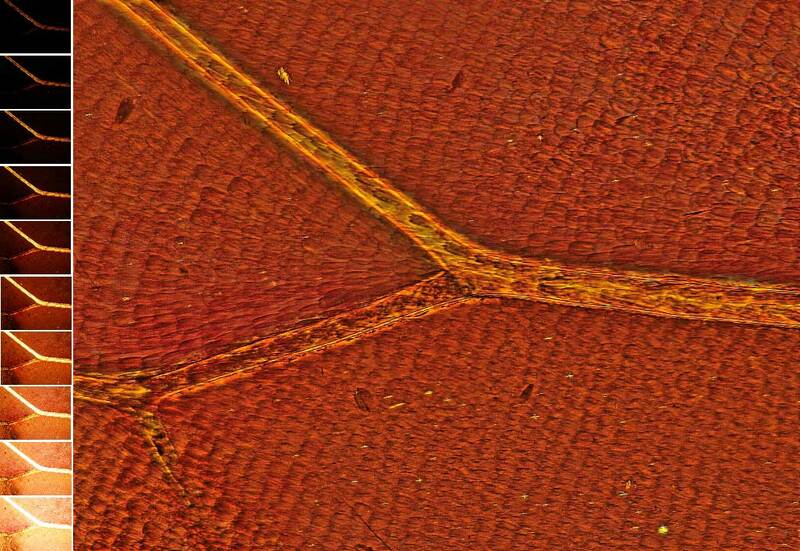 2: Microscopic photographs of a butterfly wing and the final result after HDR conversion with FDRTools and contrast enhancement with FDRCompressor Plug-In (Original images courtesy of Prof. Dr. Jörg Piper). FDRCompressor Plug-In in the next version 2.4, which is currently under development.